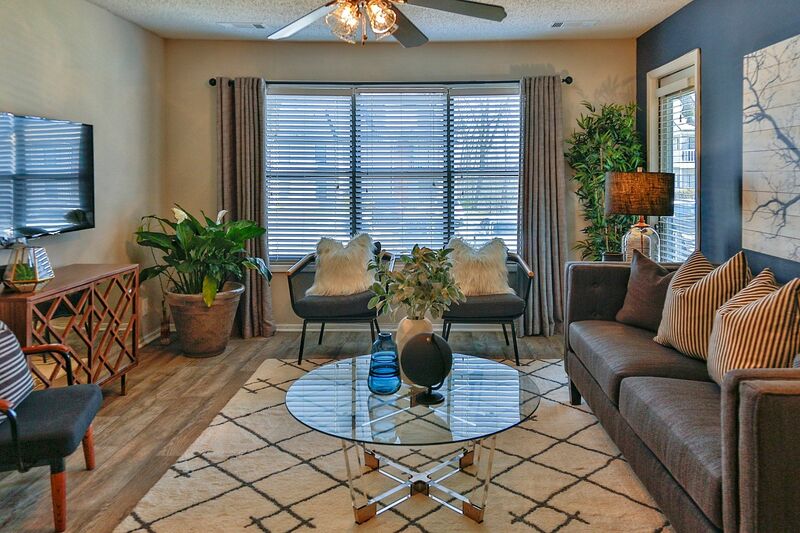 At Lyric on Bell, you’ll have your pick of six thoughtfully designed floor plans. Choose from a stylish one, two, or three bedroom apartment at our ideally located community in Antioch, TN. Floor plans range from 749 to 1,550 square feet and offer wonderful features, including a patio or balcony so you can enjoy your own private outdoor retreat. The fully equipped kitchens are tastefully appointed with all-black appliances, and handsome wood-style flooring elevates your space. Whether you are seeking a cozy one bedroom apartment to share with your pet or a spacious two or three bedroom apartment to spread out in, look no further than Lyric on Bell. Not only do our apartments have the conveniences you desire, like washer and dryer connections and air conditioning, but we also offer cozy extras like built-in bookshelves and fireplaces. Find your ideal apartment home at Lyric on Bell. Our one, two, and three bedroom apartments are bright and airy, with large windows and spacious floor plans. 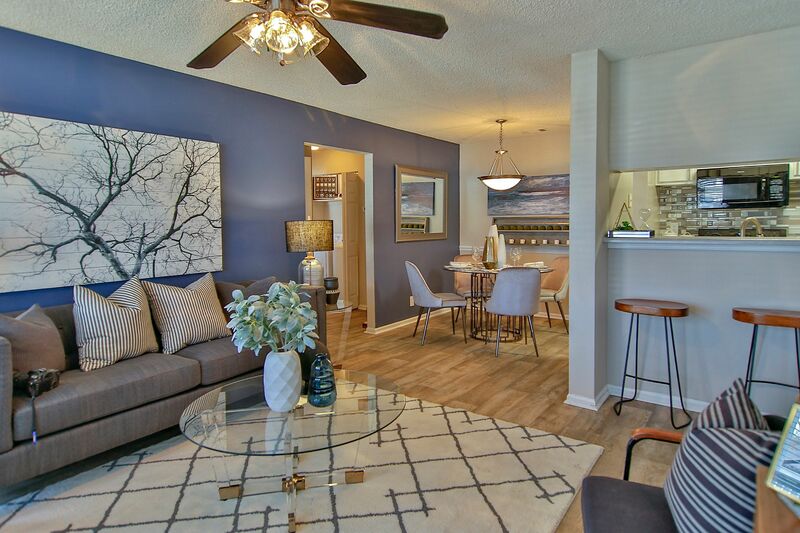 Our homes feature warm wood-style flooring and fully equipped kitchens with modern black appliances. Washer and dryer connections make laundry day a breeze, and roomy walk-in closets offer plenty of space to organize your wardrobe. Want to see it for yourself? We’d love to show you around our pet-friendly apartment homes in Antioch, TN. Call us today to schedule your tour.